We are a fifth-generation, family-owned nursery serving customers worldwide. Headquartered in St. Paul, Minnesota, along with growing operations in Oregon, Washington, and Illinois and woody ornamental breeding in Georgia, our mission is to produce and distribute top-quality horticultural products and services to retail garden centers, growers, and landscapers. Bailey Nurseries' Endless Summer® Hydrangeas, First Editions® Plants and Easy Elegance® Rose brands are widely recognized as premier products in the industry. 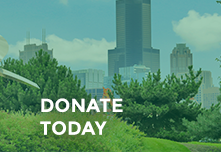 Located on the inbound lanes of the Edens at the Peterson Avenue entrance, this garden gives full attention on to the sponsorship panel with plantings of dark green Juniper and the ornamental grasses and day lillies that surround it.